Just watching VandeVelde and Hartikainen these last few games, they have been really making Fraser and Jacques look like stumps. Holy hell those two stink! Fraser has been pitiful this season and he never really did improve at all. I waited for it, but it never happened. In 67 games played he only has 5 freaking points?!? Jacques... well... he's just not very good. At all. And to think that Stortini was shafted by being placed on waivers for this slug. Good grief! Enter VandeVelde and Hartikainen. Both guys have made strong cases for themselves to be here next season. They play with hustle, heart and grit. They back down for nothing. They are beyond hungry for an NHL job and they are proving themselves to us with each passing game. VandeVelde has been playing tough and he's been great in the faceoff dot. The last 5 games he went, 52.9%, 68.2%, 85.7%, 44.4% and 50%. That's damn good compared to the other Oilers players who played most of the year. Sure O'Marra has some wicked games on the dot too, but VV has been pretty consistent so far. Either way, O'Marra or VV is a huge upgrade over a disappointing Colin Fraser. I'm OK with either. Teemu Hartikainen had a little hype when he was called up and so far he's impressed. He uses his big frame to pound guys and he even scored a nice goal the other night. As each game is played he's far more comfortable with the puck. I hope he plays out the year with the Oilers. Sorry OKC. I want to see more of Hartikainen. Maybe it's just me, but that's how I feel. Viktor Fasth Future Oilers Goalie? Bob Stauffer said today on Oilers Lunch that there is a good possibility that the Oilers send Nik Khabibulin down to the minors (OKC Barons) next season. Who will replace him with the big club? Viktor Fasth is the name he said. Apparently he won goalie of the year (Honken Trophy) in the Elitserien league this season. In the this years playoffs he has a 1.78 GAA and a .945 SVS. Not bad numbers at all. What did he do in the regular season? In 42 Games Played he's earned a 2.26 GAA and a .925 SVS. Again, really decent numbers. He's 28 years old and was born in Kalix Sweden. He's listed as 6'0" and 198lbs. Tambellini was there watching him not long ago and maybe Stauffer is right. Maybe this will happen? But you never know as Fasth is signed to play one more season with AIK. Read it here. If you follow Ryan Jones on twitter, it's no secret the guy loves his "flow". Since the first day of tweeting, he's been talking non stop about his and other peoples hair. Last night versus the LA Kings, he had a short conversation with former Oilers player Ryan Smyth during a faceoff. 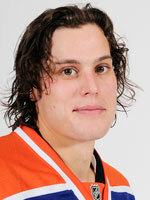 This is what Jones said today on twitter, "Ryan Smyth told me I had to sick hair at a faceoff yesterday. I told him I was trying to copy him from the old days. He said "Its better!"". Haha! How awesome! Two dudes lovin'the flow during a game. While I think it's cool that Jones has that wicked long flocks hanging out of his lid, nothing compares to the rockin' mullet that Ryan Smyth used to sport with the Oil. The mullet is classic. 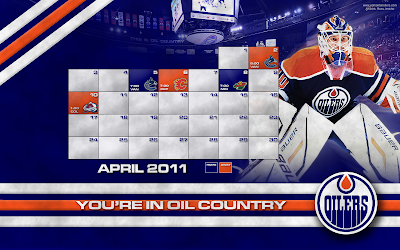 - As we all know, Dustin Penner is facing the Oilers tonight in what should be an emotional game for Penner. He went through a lot with the Oilers and while no doubt going to the Kings was refreshing for him, this game should bring back the memoriesm (good and bad) that he's had with this hockey club. It will be interesting to see him in a Kings jersey. - Rod Phillips is calling it a career after tonight's game. 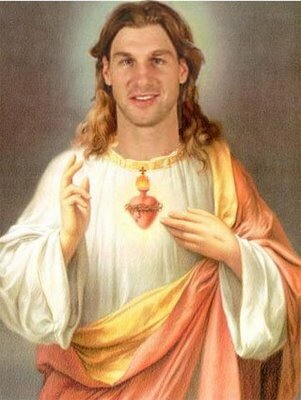 This will be his last game ever for the Oilers. After 37 years he's finally walking off into the Arizona sunset. I'm going to miss Rod and the way he calls games. He truly is a classic element of the Edmonton Oilers organization. Good luck in the future Rod, Oil Country loves you! - Nik Khabibulin will get the start in net tonight. Not sure why. Dubnyk needs the development time so why waste 60 minutes on a drunk bag of bones? Pfft! WE WANT DUBNYK! - The same lines as last game are expected to be iced tonight. - Watch for the Kings Jarret Stoll to score the game winning goal tonight. He's scored 2 out of 3 goals in this season series so far. Can he go 3 for 4? Despite destroying the Flames in the first 40 minutes, the Oilers laid an egg and lost in the the shootout. Here are the highlights of the game. A friend from work asked me if it was possible to find 2 tickets for tonights game so he could take his 9 year old son to his 1st ever NHL game. I remember mine clearly (in Vancouver vs the classic Gretzky Oilers) so I thought what the hell. I can find him some. Sure enough, Marsha (Scarlett) Boyd gave some up so they could go. Such a nice thing she did. I'm sending her good karma for it. She deserves it. I hope Joe and his son really take in everything that tonight has to offer. I told him to show up early so they could see the warm ups and grab some shirts and sub par food from Rexall. I told him to even grab one of those heroin beers. So here's to hoping the Oilers at least put up a fight with the southern rivals. Make this game fun to watch for them. I'll let you know how they made out tomorrow. GOILERS!!! Tonight the Stockton Thunder held their first "Star Wars Night". The 501st Legion, Central California Garrison greeted fans for photo opportunities with Chewbacca, Princess Leia and others in the King's Room at Stockton Arena before the game. Storm Troopers made special appearances around the arena throughout the night. Darth Vader even dropped the ceremonial puck. The Force was definitely with the Thunder, who hosted the Idaho Steelheads in the second game of a three game weekend series. The Stockton Thunder defeated the Steelheads 5-1. Gilbert Brule... Hard Luck Or injury Prone? Teemu Hartikainen Getting Called Up? Taylor Hall and Ryan Whitney On Twitter? You Betcha! Joining Jim Vandermeer (@Jim_Vandermeer), Ryan Jones (@jonesry28), Linus Omark (@limpanomark), Jeff Petry (@petryj), are two new Oilers to join the twitter craze. Welcome to Taylor Hall (@Hallsy04) and Ryan Whitney (@RyanWhitney6). If you haven`t joined twitter yet, well you should. This is a very cool way to interact with your favorite Oilers players. 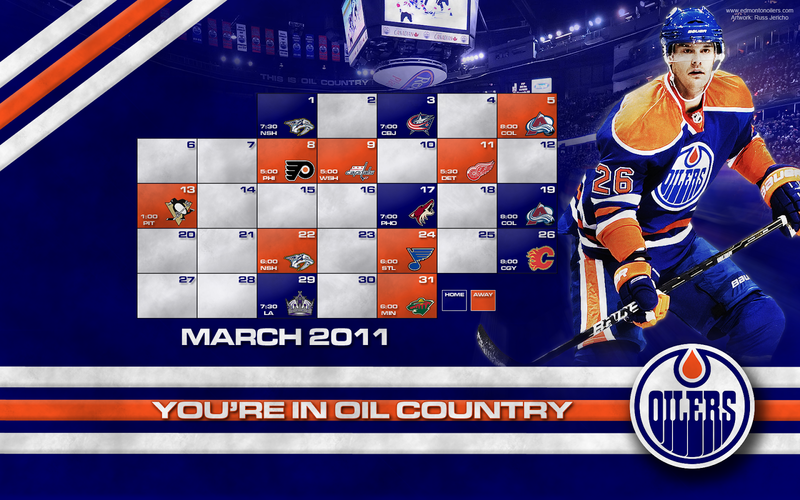 While your at it, follow me too for all the Edmonton Oilers updates and news. @OilersJambalaya. The Edmonton Oilers announced today that they signed 6'1", 210 lb. defenseman Taylor Fedun to a 2-year deal. Fedun was coming out of Princeton University as a senior and free agent. In four years on the team, he amassed 20 goals, 48 assists and 154 PIM. His last season he scored his highest college goal total, with 10 goals, 7 of those coming on the Power Play. Prior to entering college, he played a season with the Spruce Grove Saints of the AJHL, scoring 10 goals, 33 assists, and 103 PIM. The Oilers announced that he will report to the Oklahoma City Barons. Teemu Hartikainen To Play With Edmonton Oilers? "Only those players listed on a team’s Clear Day roster are eligible to compete in the remainder of the AHL regular season and in the 2011 Calder Cup Playoffs, unless emergency conditions arise as a result of recall, injury or suspension. Teams may also add signed junior players or players on amateur tryout contracts after Clear Day, but only once their respective junior or college seasons are complete." Ryan Aber of the Oklahoman reported earlier today that Alexandre Giroux, Linus Omark, and Alex Plante would be included on the Clear Day roster, with Phillipe Cornet, Matt Marquardt, and Anthony Aiello being left off. The Barons forwards are Giroux, Brad Moran, Colin McDonald, Omark, Ryan O'Marra, Teemu Hartikainen, Andrew Lord, Zack Stortini, Milan Kytnar, Greg Stewart, Ben Ondrus, Chris VandeVelde and Mark Arcobello. The defensemen are Plante, Richard Petiot, Jake Taylor, Colten Teubert, Kevin Montgomery, Bryan Helmer, and Jeff Petry. And the goalies are Martin Gerber and Jeff Deslauriers. As the Junior seasons roll on and come to an end, I'm sure we'll be seeing some of those prospects as the playoffs come closer. The Barons currently sit in a tie for 6th with San Antonio, 1 point out of the 5th place crossover spot. The Barons and Rampage both have played 62 games, and have games in hand to all the teams in front of them. The Barons take on the Manitoba Moose on Tuesday night. Sam Gagner... Can He Surpass 50 Points? I`m working today and I`m a little bored. I started thinking this morning about the Oilers and what lies ahead. The more I thought, the more I got fired up. Forget last year and even this year. The future is where it`s at. I know... that has been promised for the last 10 years. But the future is close. Last night watching the Taylor Hall revelation, I couldn`t help but think he`s finally arrived. It`s been a long time since I was sold on a young player so quickly. But how can you not embrace what he represents? The kid wants to be a winner and you know what? I believe him. Combine Hall with the other young players and you get a gnarly young core group to lead this team to Lord Stanley`s cup. Want to know the future? Here it is. Hall, Eberle, Paajarvi, Lander, Dubnyk, Peckham, Teubert, Petry, Vande Velde, Hartikainen, Omark (plus other players not named) and the two 1st round draft picks from 2011. Now if that doesn`t set this team up for years to come, then really.... nothing will.